First you need to figure out what time you like to run. I either run in the afternoon around 4 pm, or first thing in the morning. 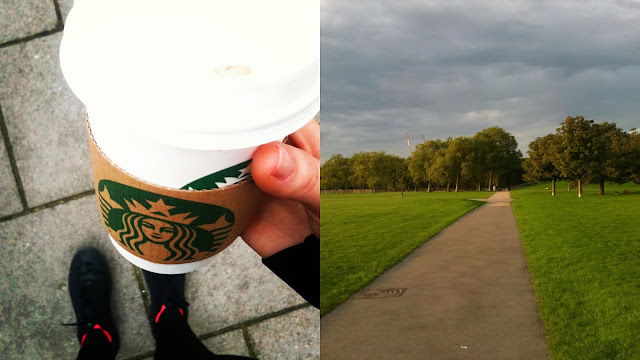 While getting up with the thought of going into the cold is not the easiest thing, I like running in the morning best. It gives a some sense of accomplishment and that's always a good way to start your day. Then there's also the food issue. I sometimes need to postpone afternoon runs because I had a big lunch. Running with a full tummy just isn't going to work; another reason why running in the morning is better. I simply have some water or tea and off I go. 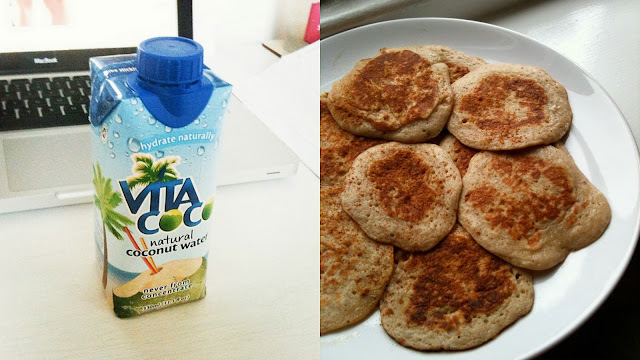 But after my morning run, it's time for my ultimate treats: Coconut water and banana pancakes, hydration and protein! It's important to have good shoes. 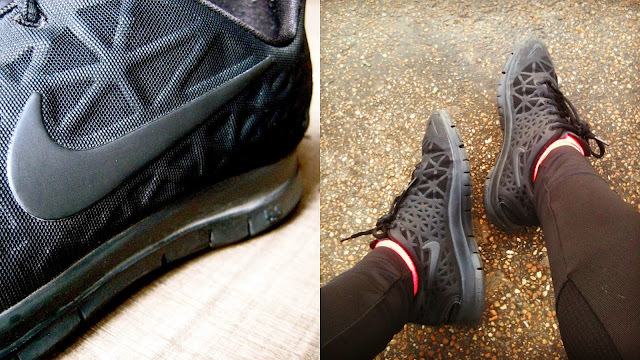 I have Nike Free Training shoes, which are not really meant for running in specific, but at least they are made for all kinds of activities. They are light as air and one of my best purchase this year. My next pair will definitely be specifically designed for running. I always wear shorts during the warmer months. I recommend checking out Nike during the sale because you can get a really good deal (the neon shorts were £9). 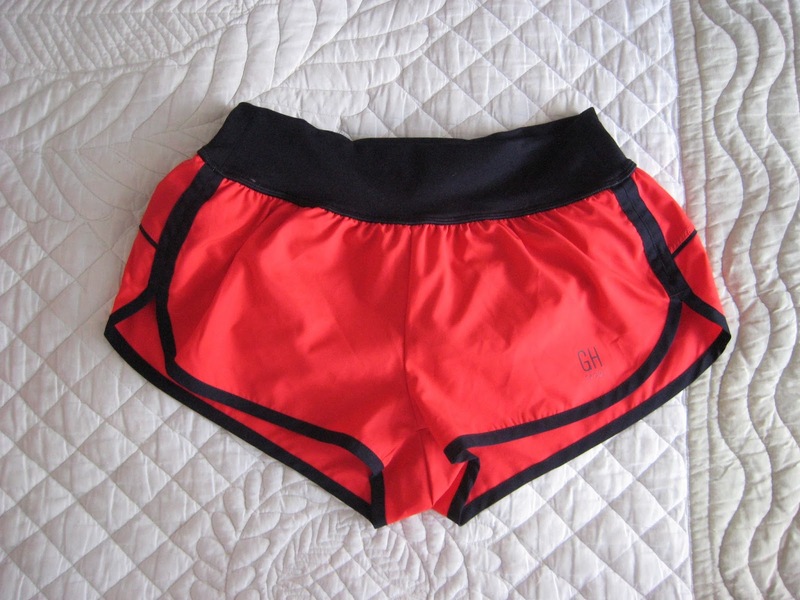 I love my new GH Sport shorts because of the bright red colour and the handy little back pocket. For autumn/winter runs, I recently purchased a pair of running tights from Bershka, which sit perfect. There's a little open side pocket which is perfect to keep my iPod Nano in (I tuck the wire of my earphones under my shirt). 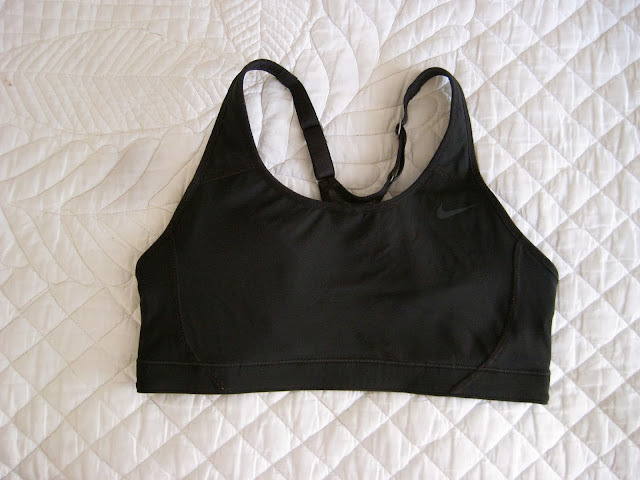 For tops, I like wearing anything with dry-fit material, because it keeps you cool and you don't feel it when you sweat. I bought a long-sleeve top - also at Bershka - which I currently wear for running. I also always wear a good sports bra for support. Mine if from Nike. 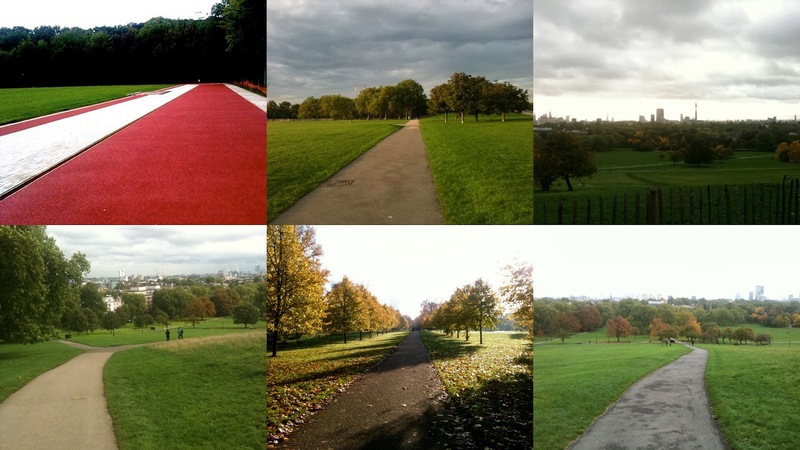 If you live in a city, it's not that easy to find a good running spot. But like I said, if you live close to a park, you're in luck. Near my home in Belgium there's a brand new running track which I used in the summer; it's nice to change it up a little! 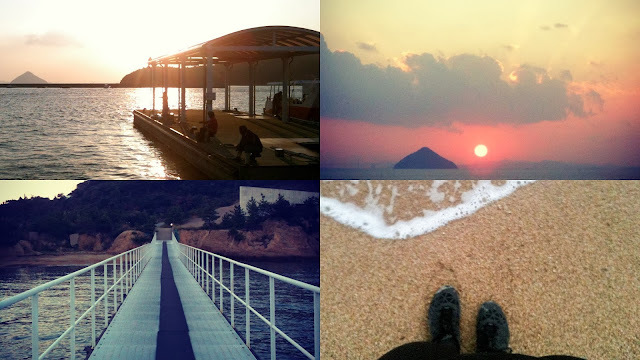 The pictures below were taken during my only run in Japan on an island, so beautiful! I'll definitely run more often during holidays. I always take my iPhone with me. It might not be convenient, but in case of emergency it's always good to have your phone with you. Also, my phone tracks my runs through the Nike Running app. It tracks everything you need to know about your run: distance, average pace, time, calories and much more. I also use this app when I go on long walks because I like to know how many kilometers I walked. I can't recommend it enough (it's free on the App store). I need my music when I run. It's all part of the stress-relieving and relaxing aspect of running I think. I have a running playlist which I keep adding songs to, but usually I listen to the newest songs on my iPod. My brother sent me the song below yesterday and it was perfect for today's run (but also for studying.. have a listen!). I like these types of long remixes because they keep you in a flow. I also like to combine running with some walking. Instead of running/jogging, I like to give it all and run fast. Usually I allow myself to walk a couple minutes after every kilometer for recovery. I've heard that it speeds up your metabolism, increases running speed and builds up stamina. Everyone has their own way of running, it's up to you to find out what you like most. Post-morning run in Regent's Park, treat yo' self! Girls, remember to be careful when going for a run. Always tell someone you're out for a run, bring your phone and ID, don't run in deserted areas and preferably don't run after dark. Better safe than sorry. 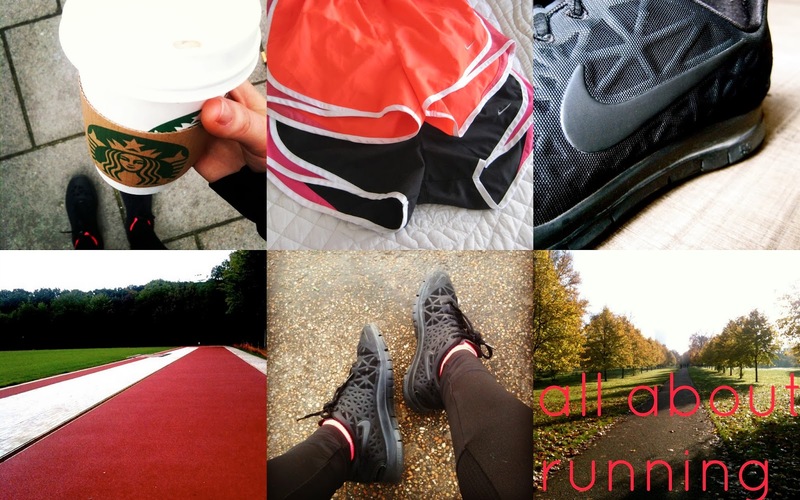 For all my Dutch-speaking readers, this is my favourite running blog, this girl makes anyone want to run, SO motivating! Do any of my readers run as well? I'd love to hear some more running tips or great running songs.